We are celebrating 30 years of publication with a major expansion. 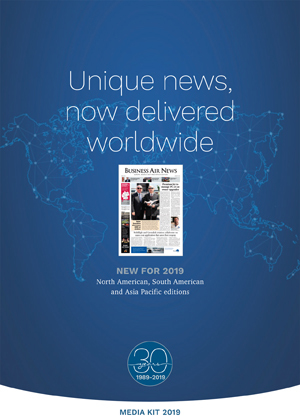 Business Air News has been delivering its own style of news to business aircraft owners and operators throughout Europe, the Middle East and Africa since 1989, but now for the first time there will also be editions written for brand new readerships in North and South America and the Asia Pacific region. 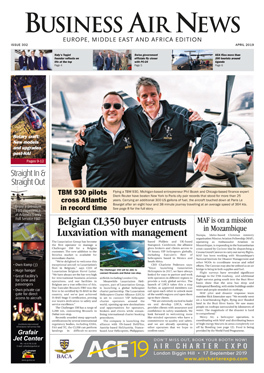 The same high editorial standards with the spotlight on aircraft owners, sparkling production standards and meticulous distribution lists - but now delivering a massive worldwide audience for our advertisers. Free bonus: All advertisers in our printed editions are featured with logo and advertising slogan across the news pages of this web site, now viewed by 25,000 unique individuals every month.